Images play an essential part on the website in order to grab more number of visitors’ attention. They break the long content pieces in between, thus making the page look more attractive, though the size of the images to enhances a bit. Images increase the link that the web writers seek to develop with their readers. Hence it is very significant to use the right kind of images related to your content or blog post for leaving a good impression in the mind of the readers. As people don’t like to read too much of your content, images certainly engage them to a great extent. 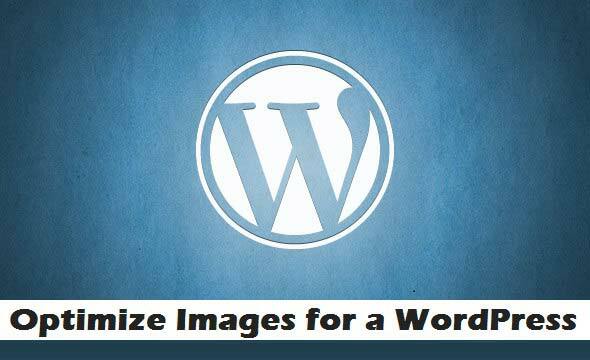 We’ve discussed over here How to Optimize Images for WordPress Website with 10 points below. These will surely help you in inserting excellent images for your web pages so that your visitors will approach your site more. The format applied for the image plays an essential role. You can certainly use JPEG for images or photographs with distinct colors. You can even apply PNG for computer produced images and vector graphics, for example; clip art. Always use JPG formatted images instead of PNG because it will help you to reduce images size. JPEGs are of two kinds, Progressive and Baseline, and both are identical visual-wise. Progressive JPEGs create image along with multiple layers, and loaded layer by layer that steadily enhances in excellence. Baseline JPEG includes one layer only comprising an entire image that can be loaded at one time. Most of the image resizers will let you to save your images as Progressive JPEG. You can apply Lazy-Loading in WordPress with the help of BJ Lazy Load plugin. Lazy-Loading is a brilliant resource saving method where the image will be loaded when any user will scroll downwards to the view-frame of the image. With Lazy Loading being enabled, the images will get loaded while a visitor is in the area of the image. For example, under a topic: 10 Best Fuel Effectual Cars of 2014, the visitor can view all the 10 images while scrolling down. When you have large traffic on your website, you should arrange a Content Delivery Network (CDN) along with WordPress so that your load time will reduce and the whole performance will expand gradually. CDN can provide the image from a particular server that is nearest to the location of the visitor. For example, if a visitor’s browser from the USA request an image rendering, and CDN contains a POP (a server or point of presence) in New York, the image thus is provided from a server situated in New York. You can use MaxCDN, CloudFare, Softlayer, Incapsula and Rackspace Cloud Files CDN to enhance your website speed. It is very important to resize an image to the needed dimensions and quickly upload it. Large Dimensions is a very unique one. For example, the WordPress theme will load the complete 5MP image, and tell the browser to reduce it in size to the needed dimension of 150*150px. The browser actually exhibits 0.0045% only of the usual image. The ALT attribute or tag depicts images for search engine. When you enter the text in this area, it will be exhibited to the visitors, by chance the image does not load up. You should make sure to add your post title keywords in the ALT tag of your images. Inserting ALT attribute in images also help you to optimize your wordpress website more SEO friendly. When the images are compressed, they become 40% light from the normal images and also reduces the loading time as well as saves bandwidth. WPSmush.it from Freddy’s list of great WP image optimizing plugins is suggested for optimizing images, and then uploads it to the web posts and theme demos. Your images have to be responsive along with your website. While uploading any image, WP resizes it into numerous versions including Full Size, Thumbnail, etc. that can be amended by the developer only. A nicely coded theme will provide medium sized version of your image, thus it saves the bandwidth. From the point of view of a search engine, you can imagine of a filename. You can apply the same text as you would do in the title tag of any image. You can even attempt to add your keywords that are quite related to your website or post. The captions are not always compulsory, but in a few cases, they are needed, like the screenshots in tutorials. When you caption the images, your readers can quickly know the topic in a good way, which further enhances your SEO. After going through the above article, you might have known the right image optimization, thus avoiding the errors which you can apply on your website. Justin, a music lover completed PHD in English and like to write on WordPress technology. He joined UK-Dissertation content development team as a content writer.